Alvaro Morata scored twice as FA Cup holders Chelsea advanced with a 2-0 third-round win over Nottingham Forest at Stamford Bridge. Cesc Fabregas, captaining Chelsea on potentially his farewell appearance, had a penalty saved after 30 minutes, before another player whose future has been debated, Callum Hudson-Odoi, twice created goals for Morata. Morata has also been linked with a move and the Spain striker demonstrated his infuriating mix of woeful misses and clinical finishing as the Blues progressed. Chelsea had not been eliminated in the third round since 1997/98 and reached the final in the last two seasons, winning last May in Antonio Conte's last match as head coach. 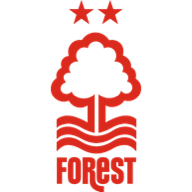 Forest had knocked out the holders on five of the six previous occasions they had faced them, including Arsenal in last season's third round. However, they scarcely troubled the Blues, who were defensively firm. Chelsea should have scored after 13 minutes when Davide Zappacosta's cross bounced kindly for Morata. But the striker's header from five yards out went straight to goalkeeper Luke Steele. 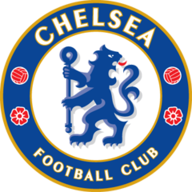 The hosts were making headway down both flanks and were presented a penalty after Zappacosta's cut-back to Ruben Loftus-Cheek. He was caught by a clumsy challenge by Danny Fox. Fabregas' stuttering run-up was poor, players from both teams entered the area and Steele saved, diving low to his right. Steele made a number of routine saves before Eden Hazard was introduced before half-time, with Loftus-Cheek's niggling back problem having returned. Chelsea so often look to Hazard for inspiration, but it was Hudson-Odoi who provided it on this occasion. He beat Saidy Janko down the right and crossed to the near post, where Morata finished well for his first goal since November 29. Steele denied Hudson-Odoi with a sharp save and Morata somehow clipped over a Ross Barkley cross from two yards out, his blushes spared by an offside flag. Chelsea and Morata's second came moments later, with Hudson-Odoi again the provider. He beat Janko and crossed to the back post, where Morata headed down into the corner.